Off The Market !! Sunset Cove 145 Townhome – On hole #8 of the Dunes golf course with beautiful views, amazing sunsets, and warm winter sunshine! This large 2 bedroom, 2.5 bath plus den townhome may be just the vacation retreat you’ve been looking for. 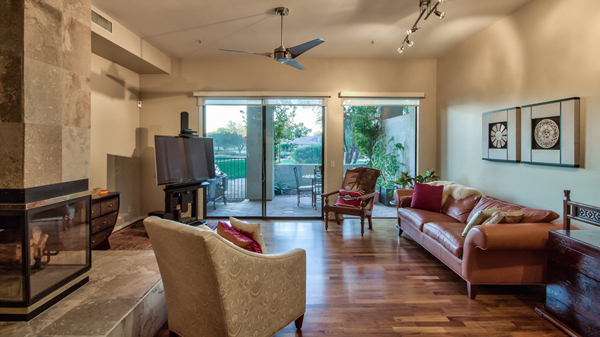 Or make it your full time residence in one of the most secure and private communities in Scottsdale. The list of Gainey Ranch amenities are more than impressive. See below for all the details on this amazing property!